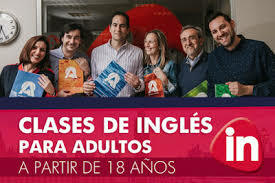 CURSO INGLES PARA ADULTOS REALIZADO CON EL FIN DE AYUDARTE A APRENDER INGLES DE UNA FÁCIL, RÁPIDA Y ANIMADA, NO TE LIMITES EN APRENDER !! SI SE PUEDE!! HORARIO: 10:30 / 10:30 A 12:30 / 2-4 P.M.